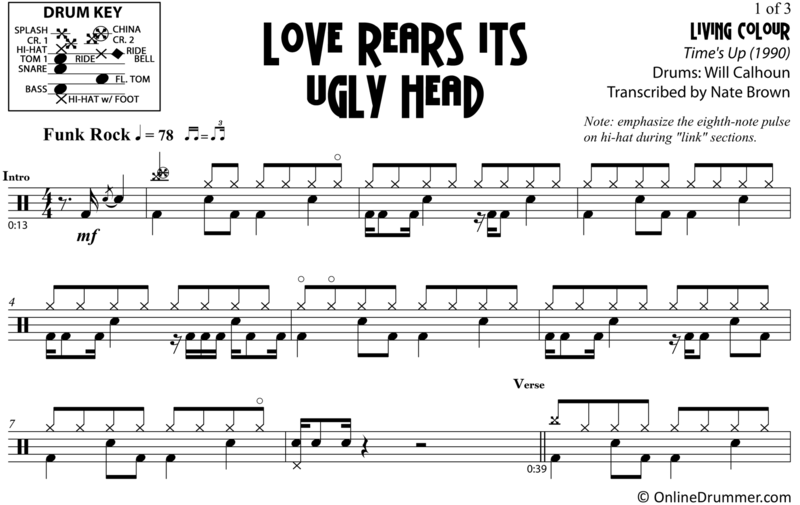 The full drum sheet music for “Love Rears Its Ugly Head” by Living Colour from the album Time’s Up (1990). 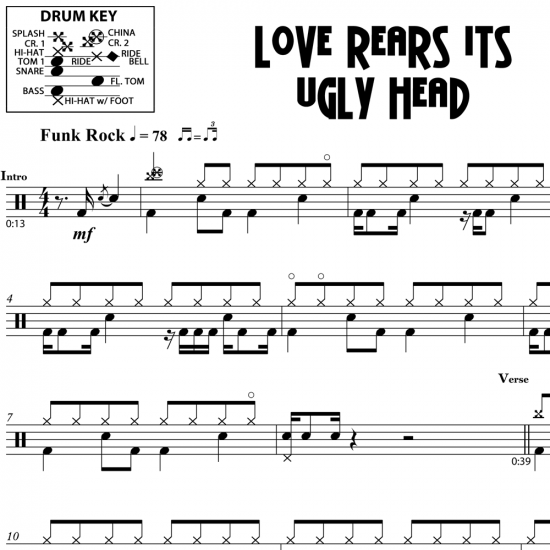 Play along with Will Calhoun in this Living Colour classic. Calhoun mixes in-your-face simplicity with step-back, impressiveness that dynamically grows throughout the song.